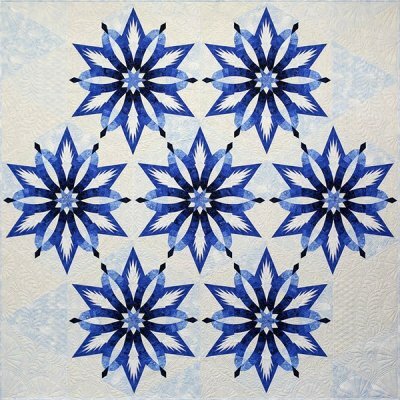 Join Carol Jayne, certified Judy Neimeyer instructor in our classroom to create the lovely Diamond Wedding Star. This class will take place monthly, for 4 sessions at $40 per session. Pattern not included. Click here to purchase your pattern. Also recommended: Creative Grids Diamond Wedding Rings Template set. These acrylic templates make trimming your Wedding Star units a breeze. They are also used to mark various units for joining pieces. The pattern requires a set of 48- 2-1/2" strips. 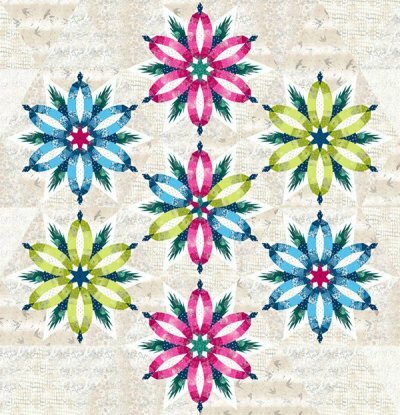 This project can be customized on Quiltser. 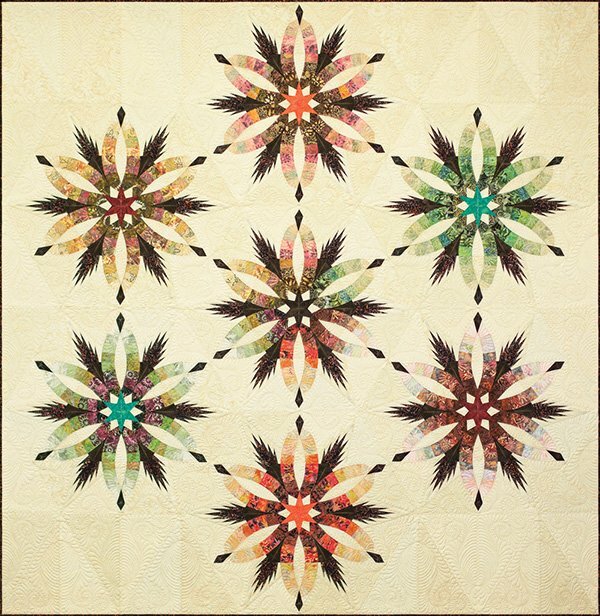 If you would like to create your unique quilt, Margaret is able to assist with this, using current fabrics.